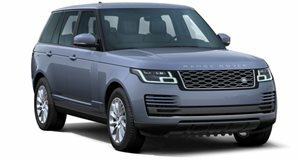 Tuning companies aren't wasting time restyling the new Range Rover. The Land Rover Velar was introduced to the world just last month, but already there’s an aftermarket package future owners might want to consider. Slotting between the Evoque and the Range Rover Sport, the Velar is beautifully styled and will make Porsche Macan and Jaguar F-Pace buyers think twice. That said, after a few months on the market the Velar will be commonplace on the streets of Western Europe and the US, so this new body kit courtesy of Lumma Design will appeal to those that demand to stand out from the crowd. It’s called the Lumma CLR GT and from the pair of renderings, you can see it gives the Velar added girth and a more aggressive stance. Up front, there's a restyled grille, new bumper and air intakes and a set of LED DRLs. From the rear, there’s a mean-looking diffuser, a set of quad stainless-steel exhaust tips, and an integrated spoiler. Rounding off the new mods is a set of 22-inch alloys wrapped in 305/35 tires. The Lumma CLR GT will arrive by the end of 2017 as a limited edition model just in time to celebrate the German tuning company’s 30th anniversary.